The Caribbean waters surrounding the U.S. Virgin Islands are home to some of the hardest fighting fish in the world. 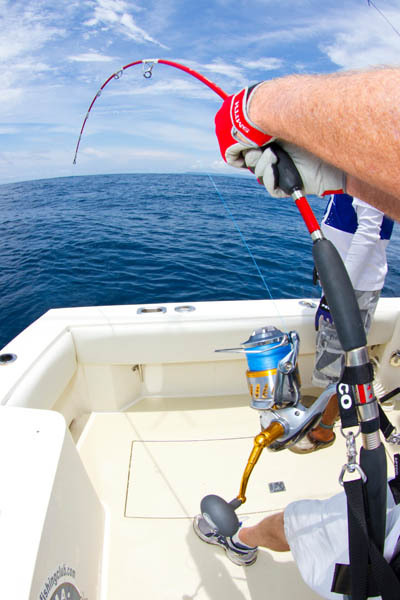 Whether it is the rod-busting Yellowfin Tuna, high speed runs of toothy Wahoo, or acrobatic display of Blue Marlin and Sailfish, high-quality tackle is a must. 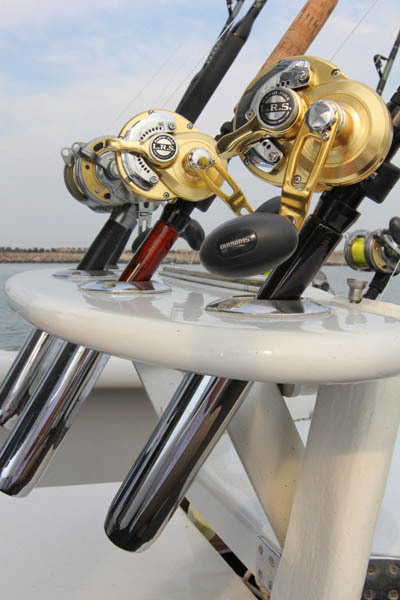 For this reason, we have equipped our boat Emanuel with the latest in premium reels, rods, line and lures. For offshore species, we only use high-end Shimano Tiagra reels matched with Pacific Bay custom rods exclusively designed for Capt. Alvin Fishing Charters. We use Shimano Tiagra 50W and 80W on heavy duty rods when trolling for Blue Marlin, Sailfish, White Marlin, Wahoo, Yellowfin Tuna, Blackfin Tuna and Mahi-Mahi. When these fish are visible on the surface, we also use high-capacity Shimano Stella and Saragosa spinning reels with custom heavy-duty spinning rods to land your monster pelagic fish. We also offer a full compliment of lighter rods and reels for our inshore trips. These combos match the quality of our offshore equipment, utilizing smaller Shimano Stella and Saragosa spinning reels on custom designed inshore rods. Using this lighter gear makes fishing for Barracuda, Kingfish, Yellowtail, Tarpon and other inshore species much more fun and sporting. We fish Suffix Superior and Moi-Moi line on nearly all of our reels as well as Jerry Brown Hollowcore braid on some of our spinning combos with a short monofilament or fluorocarbon top shot and leader. Capt. Alvin is also equipped with a complete assortment of high-quality trolling and casting lures from brands like Black Bart, Top Gun, Wahoo Kings, and Yo-Zuri. Our boat Emanuel also comes equipped with fighting harnesses, belts, and all necessary accessories to subdue your fish of a lifetime.